The DE-KREESE is available in two sizes. The 5 head system accommodates print strokes up to 20” and the 7 head System that can accommodate up to 30”. 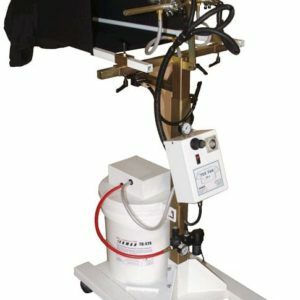 Fully adjustable, the DE-KREESE will fit on most popular brands of printing presses, both carousel and oval. 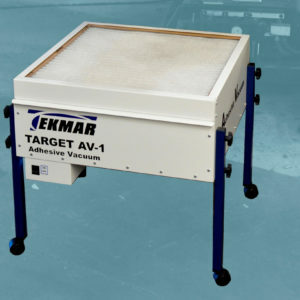 The unit uses minimal air pressure to operate less than 2CFM and has a power supply that draws less than 1 amp. 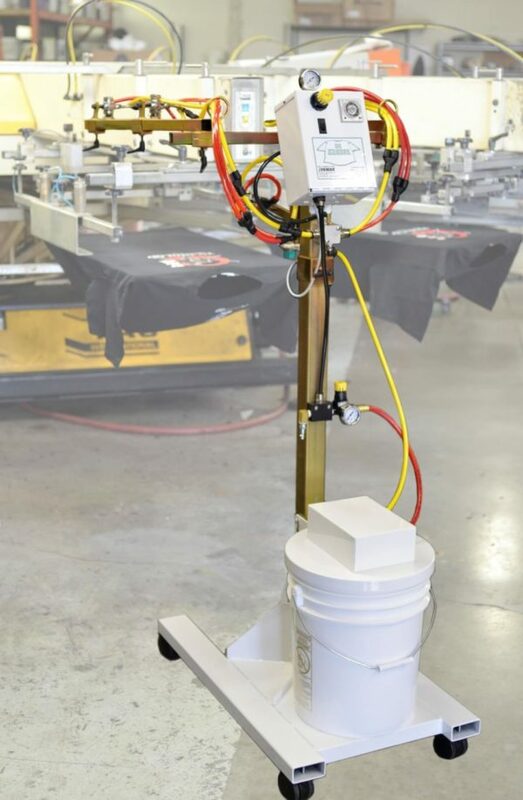 The DE-KREESE eliminates the need for a dedicated employee spraying the shirts and helps with customer satisfaction, saving $1000’s per year and maintaining repeat business with your customers. The De-Kreese is Fully adjustable to fit most automatic presses. 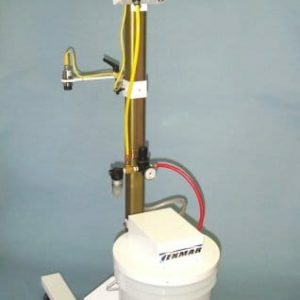 The De-Kreese can be quickly installed and set up. The De-Kreese is a set and forget unit with no scheduled maintenance required. The De-Kreese is backed by Tekmar’s Lifetime Limited Warranty, ensuring years of reliable, trouble free operation. 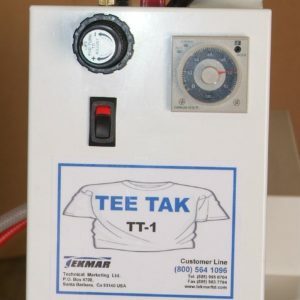 TB-LFR Laundry Fresh Fabric Relaxer is especially formulated for use with Tekmar’s De-Kreese, Squeegee Mark Removing System. It contains a relaxing agent that softens the fabric and then with the heat from the dryer gently steams the crease out of the fabric. 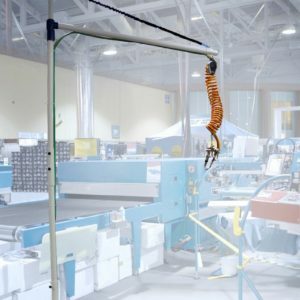 TB-LFR leave the garment smelling Laundry Fresh! !